The President of Sam Houston State University approved the following changes to the bylaws for the University Faculty Senate in Fall 2015. 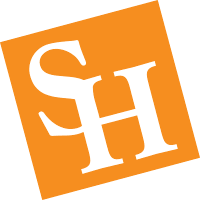 In order to develop fully the freedom of discussion, participation, and examination of ideas by faculty, students, and administration in the search for truth, the faculty and administration hereby establish and promulgate this Charter of the Faculty Senate of Sam Houston State University. The Faculty Senate shall consider matters of general welfare to the University placed before it by members of the faculty, members and committees of the Faculty Senate, the Student Association, and the President of the University and other administrative officers of the University. Inasmuch as the Faculty Senate is advisory in nature, decisions on all such matters shall be final only when approved by the President of the University, subject to the authority of the Board of Regents, The Texas State University System, and the Texas Higher Education Coordinating Board. The Faculty Senate shall have no existence separate and apart from the University. The Faculty Senate shall be composed of full-time faculty members. Persons who are not full-time faculty members and persons holding administrative positions with the rank of program coordinator or above shall not be eligible to serve. All faculty members, full-time and part-time, are eligible to vote. Positions on the Faculty Senate will be apportioned among the major administrative units of the University. These units are defined as the several colleges and the Newton Gresham Library. Each unit will have a minimum of one senator and the Senate may not exceed thirty members. Senators will be elected each spring semester to serve for a term of three consecutive years. An eligible full-time faculty member within any particular administrative unit must designate in writing to the Election Committee his or her willingness to be a candidate for election to the Faculty Senate. Each administrative unit will elect senators from nominees within that unit. A committee composed of one senator from each administrative unit, with the Chair-Elect of the Faculty Senate as chairperson, will be responsible for conducting elections. This committee will decide questions or apportionment, subject to approval by the Faculty Senate as a whole. If, for any reason, a member of the Senate cannot serve a full term, the vacancy will be filled by the person receiving the next highest number of votes in the most recent spring election of the appropriate administrative unit. In case of a tie vote, the name will be determined by lot. A vacancy due to resignation will be declared to exist by the Chair of the Faculty Senate upon receipt of a letter of resignation. A vacancy due to removal will be declared to exist after a determination by a two-thirds majority of the Senate that the responsibilities of the position are not being filled. The Faculty Senate will hold an organizational meeting in the fall after the election of new senators. The meeting will be held at the call of the incoming chair. At the final regular meeting during the spring semester, a Chair-Elect will be elected who will serve one year (September 1 – August 31) in that capacity, and the following year as Chair. Any Senator elected Chair-Elect in the third year of his or her term will automatically have his or her term extended by one year. Nominations will be taken from the floor, and voting will be by secret ballot. Every member of the Senate, including those nominated, is eligible to vote. The Chair shall call meetings of the Faculty Senate and preside at those meetings; moreover, the chair is responsible for representing the Senate to the administration. The Chair-Elect will assume the duties of the Chair in the event of the Chair's absence, perform such other duties as the Chair shall decide, and will be responsible for keeping written accounts of Senate meetings and for distributing these to the faculty, the Vice President for Academic Affairs, and the President. The Faculty Senate shall be empowered to establish By-Laws and such committees from its membership as it deems advisable for carrying out its responsibilities. There will be a minimum of four meetings during each regular semester of the academic year. The chair will ordinarily schedule these meetings after consultation with the members to determine the most convenient time. A meeting must be called if requested by at least one-third of the Senate. The President of the University or a designated representative will respond in writing to recommendations submitted by the Faculty Senate to the President. Normally, this response will be made within sixty days after receiving the transmittal from the Chair-Elect. If the President rejects a proposal of the Senate or adopts an alternate course of action, he will so notify the Senate. The Senate may reconsider the proposal and, if it deems appropriate, submit the proposal for a vote of the entire faculty. Upon approval by two-thirds of those voting on the issue, the Senate may again transmit the proposal to the President and request a re-consideration. This Charter will be considered ratified after it has been approved in a referendum by two-thirds of the faculty voting in the referendum, and then approved by the President of the University. Amendments to the Charter of the Faculty Senate may be initiated by two-thirds of the Senate membership or by petition to the Chair of the Senate signed by at least fifty members of the voting faculty. Amendments must be ratified by two-thirds of the faculty members voting on the amendment. Amendments shall become effective when approved by the President. The purpose of these Bylaws is to state the manner in which the provisions of the Charter of the Faculty Senate of Sam Houston State University (hereafter referred to as the Senate) shall be applied to the functioning of the Senate and its committees. The Senate shall consider all matters of general welfare to the University placed before it in the manner set out herein. The President of Sam Houston State University or any other administrative officer above Program Coordinator may present for consideration to the Senate, through the Chair of the Senate, any matter of concern to the faculty at Sam Houston State University. Members of the faculty may bring before the Senate matters of concern to the general faculty. The faculty members must notify the Chair of the Senate of their desire to address the Senate and must be placed on the agenda of a Senate meeting. Members of the Senate may bring before the Senate matters deemed appropriate for Senate consideration either by placing them on the agenda or by responding when the Chair calls for new business. Senate committees may bring before the Senate appropriate items at the time the Chair calls for the reports of the several committees, provided the committees have previously discussed these items. The Senate may consider requests from students or student groups. Students or student groups must notify the Chair of the Senate of their desire to address the Senate and must be placed on the agenda of a Senate meeting. All full-time tenure-track and tenured faculty members who are not holders of the administrative positions as defined by membership on the Academic Policy Council (with the exception of the chair of the faculty senate), are eligible to serve on the Senate. The Senate shall determine eligibility in those cases where questions arise. All teaching faculty members, either active or on official leave, full or part time without regard to administrative position held, shall be eligible to vote. All questions of voter eligibility will be decided by the Senate. Positions on the Senate will be apportioned among the major administrative units of the University. These units are defined as the several colleges and the faculty of the Newton Gresham Library. Each such unit will have a minimum of one senator. For each unit, multiply 30 by the number of FTEs of the unit and divide the product by the total FTEs, keeping all decimal places. Do the same for the head counts. For each unit, take the average of the FTE and head count numbers. Call these results the theoretical allotments. For those units which have a theoretical allotment of 1 or less, the actual allotment shall be 1. Truncate each of the theoretical allotments to an integer. Calculate the sum of the actual allotments determined in step 2 plus the truncated theoretical allotments. If this sum is equal to 30, then the truncated theoretical allotments shall be the actual allotments. If this sum is less than 30, arrange the theoretical allotments in order by decreasing fractional parts (do not consider the whole number part in the ordering). Beginning at the first of the list, increase the truncated theoretical allotment by 1 for as many units as needed to raise the sum to 30. These adjusted truncated theoretical allotments shall be the actual allotments. If this sum is more than 30, arrange the theoretical allotments in order by increasing fractional parts (do not consider the whole number part in the ordering). Beginning at the first of the list, decrease the truncated theoretical allotment by 1 for as many units as needed to lower the sum to 30. These adjusted truncated theoretical allotments shall be the actual allotments. Should an exact tie occur in fractional parts that must be broken to achieve the total of 30, the election committee shall break the tie by means of an unbiased random choice (flip a fair coin, draw a name from a hat, etc.). Should this process result in the loss of Senate position(s) for an administrative unit where no term is expiring, the senator(s) in that position will complete their term(s). Should an administrative unit gain one or more positions on the Senate, those positions will be filled in the regular election with senator(s) who will have three-year terms. The Election Committee will report the new apportionment to the Senate for approval. Senators will be elected each spring semester to serve a term of three consecutive years, beginning September 1 and ending August 31. Each administrative unit will elect senators from within that unit. Eligible full-time faculty members within a particular administrative unit must designate in writing to the Election Committee their willingness to be a candidate for election to the Senate. Each spring the Election Committee will poll the faculty in the various administrative units to solicit nominations for Senate membership. All nominees will be asked to indicate their willingness to stand for election. If, for any reason, a member of the Senate cannot serve a full term, the vacant position will be filled by the person of the appropriate administrative unit receiving the next highest number of votes in the most recent spring election. When no such person exists, the Senate may hold a special election or wait until the next regular election to fill the position. In case of a tie vote, the Election Committee will determine the replacement by lot. A vacancy due to resignation will be declared to exist after determination by a two-thirds majority vote of those present that a senator is not fulfilling his/her responsibilities. When necessary, terms of newly elected Senators may be adjusted to obtain a proportional number of and distribution of senators elected annually from each college. The Senate will hold an organizational meeting during the first Senate meeting in the fall semester. The meeting will be called by the Chair-Elect from the previous academic year. At the organizational meeting the Chair will request all senators present to express in writing their order of preferences for committee assignments. The Chair of the Senate calls the meetings of the Senate and presides at those meetings. Additionally, but not limited to the following, the Chair will prepare the agenda for all regular and called meetings; sit on the Academic Affairs Council and the Academic Policy Council; serve as a member of the Strategic Planning Committee, the Calendar Committee, and the Budget Committee; meet with the President, the Vice President for Academic Affairs, and any other administrative officers to discuss actions and need for action by the Senate; appoint the committees of the Senate and charge the Senate committees with their responsibilities. In preparing the charges for the committees, the Chair will review the results of the annual faculty survey which was conducted the spring of the preceding academic year. At the final regular meeting during the spring semester, a Chair-Elect will be elected to serve a one-year term. This officer will become Chair the following year. Any member of the Senate, including those who have previously held office, is eligible to serve in these offices. Nominations will be taken from the floor, and voting will be by secret ballot. Every member of the Senate present at the meeting, including those nominated, is eligible to vote. A simple majority of votes will be required for election. If the Chair-Elect should become vacant during the assigned term, an election will be held to fill the vacancy as soon as possible. The election will be conducted in the same fashion as the ordinary election of the Chair-Elect. The Chair-Elect will assume the duties of the Chair in the event of the Chair's absence, serve as a member of the Strategic Planning Committee, and serve as an ad hoc member of the Budget Committee. The Chair-Elect will keep written accounts of all Senate meetings and distribute these to the members of the Senate, the faculty, the Vice President for Academic Affairs, the President, and the Texas Council of Faculty Senates in Austin. This individual will also be responsible for the maintenance of files in the office of the Senate and the handling of the correspondence for the Senate. The Executive Committee will be made up of the Chair, Chair-Elect, and Chairs of the standing committees of the Senate. The Senate will create from its membership four standing committees. The four standing committees will be the Academic Affairs Committee, the University Affairs Committee, the Faculty Affairs Committee, and the Committee on Committees and Surveys. These committees will be of approximately equal size, excluding the chair and chair-elect. The Senate Chair will appoint the committee members, taking into account the senator’s stated preferences, expertise, and seniority of service on the Senate. After their appointment to the committees, the members of the committees will meet to elect from their membership a committee Chair and a committee Recorder. It will be the duty of the committee Chair to call meetings of the committee, conduct the committee meetings, report the results of the committee's deliberations to the full Senate, confer with administrative officers when appropriate, and attend Executive Committee meetings of the Senate. It will be the duty of the Recorder to keep written accounts of meetings of the committees, furnish the Senate Chair-Elect with written copies of motions the committee wishes to make, provide the Senate Chair-Elect with any information the Chair-Elect deems appropriate for Senate files, and provide the full Senate membership with copies of all motions the committee makes at a Senate meeting. All unresolved procedural issues may be brought for resolution to the Senate Executive Committee. The Academic Affairs Committee will be responsible for all matters dealing with curriculum, calendar, academic policies, grading, academic standards, and whatever other charges the Chair may assign. The University Affairs Committee will be responsible for all matters dealing with students, traffic and safety, building and grounds maintenance, recruitment of students, University publicity, and whatever other charges the Chair may assign. The Faculty Affairs Committee will be responsible for all matters dealing with merit policy, grievance policy, tenure, salary, leave policy, research policy, benefits and insurance, promotions, dismissals, and whatever other charges the Chair may assign. The Committee on Committees and Surveys will be responsible for maintaining and /or reviewing the Senate Charter and By-Laws. The Committee will also be responsible for providing names for the full Senate to offer as nominees to the university-wide committees as requested. In providing names to the Senate, the committee should give consideration to faculty preference for committee assignments and a faculty member's qualifications to serve on those committees. The committee will conduct at least two surveys during each academic year. Early in the fall semester a survey will be taken to determine faculty members' preferences for service on university-wide committees. During the Spring semester the committee will conduct a survey to determine faculty concerns. The results will be made available to the full Senate in time for the Chair elected in the organizational meeting to study the results and make the proper charges of duties to the committees of the Senate in the first meeting of the following academic year. Members of the Faculty Senate nominated for a university committee whose membership is recommended by the Senate will have their names automatically removed from nomination--or from membership on the committee if the nomination has already been accepted--if they are reelected to the Senate. This amendment will not be construed to imply that faculty members newly elected to the Senate should resign from any Senate-recommended committee they are serving on at the time of their election, since they can have had no part in nominating themselves. The committee shall also constitute the Election Committee. The duties include determining the apportionment of Senate seats each spring, conducting and certifying the election of Senators, and determining the eligibility of faculty members for service on the Senate when questions arise. The Chair of the committee will inform the Chair of the Senate of the election results in time for newly-elected members to be notified before the organizational meeting. The committee will conduct a faculty election to fill the vacancies on the Faculty Development Leave Committee. The election results will be reported to the Faculty Senate. A quorum will consist of a simple majority of the Senate membership. The meetings of the Senate will be conducted in accordance with the By-Laws, except in those cases where a suspension of rules is approved by a two-thirds vote of the members present. Tentative minutes from the meetings will be submitted to the Senate at least 48 hours before the next Senate meeting. In order to expedite the approval of the minutes of the previous meeting, changes (additions, deletions, or corrections) in the minutes must be submitted to the chair-elect in a timely manner. In order to expedite Senate action, committee motions should be presented to the Senate Chair-Elect in writing. The Executive Committee of the Senate will prescribe the form the motion will take and provide forms to be used by the committees and the members. The Chair of the Senate will submit to the appropriate administrative officer recommendations passed by the Senate. The Senate Chair shall report at the beginning of each meeting the progress of Senate recommendations that have been submitted to the various administrative officers. In the case of rejection of a Senate proposal by the President or his designated representative, the Senate Chair shall call for Senate reconsideration of the proposal. The Senate shall decide, by simple majority, either to submit the matter to the full faculty or to accept the administration position. If the Senate chooses to submit the matter to the full faculty, the Chair-Elect will immediately prepare and mail the ballot and the proposal to all faculty members. The Chair-Elect should request the ballot to be returned within one week to the Senate office. If two-thirds of those faculty voting concur with the Senate position, the Chair shall immediately resubmit the proposal along with the vote count to the President for his reconsideration. Amendments to the Bylaws may be initiated by petition signed by five members of the Senate. Amendments shall become effective when approved by two-thirds of the senators present. Ratified revisions approved: Spring 2015.